Is a random text chat with free chat rooms. Chat is very easy & no registration is required. 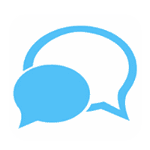 ChatIB is a text-based chat where you can join the main conversation, message people separately, start private chats with people that you are interested in or create your own different chat rooms. The website makes it easy to stay anonymous, you can use whatever nickname you like, something that describes who you are and what you want. You don’t need to show your face or say who you are, but you can choose an avatar or a profile picture. But then if your relationship develops, you decide who you will share your details with - and you can share pictures in the chat as well. ChatIB is also a blog full of fun and useful articles about dating and using online chats. The users come from different countries, mainly the US, India and Canada. It doesn’t offer many features that would stand out. It is focused on talking and having fun, but it’s not really for you if you want to start a serious relationship with someone. You should watch out for bots or fake profiles, repetitive messages or those that urge you to send a text, give some information, send pictures you don’t really want to send - you should end the chat if this happens. All ChatIB’s features are available for free, there are no hidden fees, everything is accessible to the same number of users. The chatting site is very easy to use and has a very simple layout. It’s a chat that’s always there for you to use and that you can go to when you just want to have a quick conversation, get flirty or see if there is anyone interesting out there. People might not respond right away here, so you should stay open to more than one person here as it’s hard to focus on only one conversation here. It’s an entirely free text chat with both a main chat room for different people, where you can meet random strangers, as well as private chat rooms where you can have conversations with specific people or create your own chat rooms, and it’s completely up to you what the main focus will be. If you visit the chat a few times and relatively frequently, you might meet some usual users and that might make it more interesting for you, this way you can maybe even find a whole group of friends there. ChatIB has quite strict rules that you need to follow in order to be able to stay in the chat, the whole set of them gives the impression that the creators take the website’s safety very seriously and that shows too. If you are looking to do something that is forbidden, think twice! If all of these things are the expectations you have then ChatIB might be the right chat for you! If someone bothers you, you can block or report them. The chat is moderated - people can get banned also if they use the wrong vocabulary. You can change your details regarding the location, age and gender, you can also choose whether you want to participate in the random chat option or not. Your profile picture needs to be approved by the moderators first. Moreover, after a long time of inactivity, you get disconnected from the chat and need to sign up again. Even though it doesn’t focus on serious dating, the preferred demographic is single men and women aged 18 or more. Though the website seems simple, the main features are all visible and there is no hidden information in various corners of the website like it sometimes happens with other random chat sites. You will easily notice where to start the chat, where to create your profile and where to go from there. ChatIB - what possibilities do you have when you’re chatting online? This online chat room is one of sites like omegle that enable you to chat with strangers. There are benefits to choosing this interactive form of social communication. You can talk to new people and you are not limited to only those you personally know. You do not need to think about coming up to random strangers - here you don’t need to leave the house in order to make new friends. Chatroulette sites are here for you if you still want to know a lot of people. You can chat with people whenever and wherever you are. If you are not feeling well, you can still send messages to a bunch of people. Omegle chat sites are useful also if you are outside and busy, you can just turn on the app and begin chatting. You can find strangers in your area. This way your online friendship can turn to reality very quickly. Online friendships or relationships can last years. This person can be someone who will stay in your life forever. If you live far, you can remain close friendships via different social media or instant chat sites or mobile apps. Alternatively, you can chat with someone just once, because you’ve had a bad day or are simply bored, and that is okay too. ChatIB is so versatile that everyone will find something perfect for them. 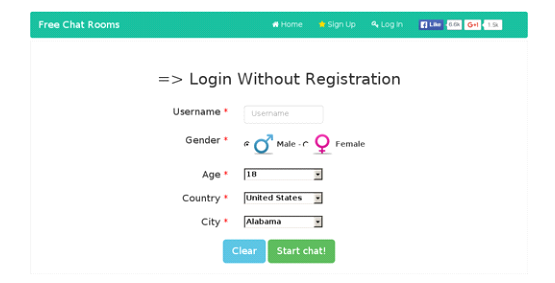 Chatroulette alternatives like ChatIB let you stay connected no matter what you’re doing. If you have social anxiety, you can still stay on top of your social responsibilities and keep a regular and enjoyable social life. Your circle of friends can expand whenever and be filled with new and interesting people. Someday, you can travel to visit your online friends, even if they live on a different continent. You can also talk on webcam or add each other online. You can share fun videos, interesting pictures that your new friend will find relatable or play games. 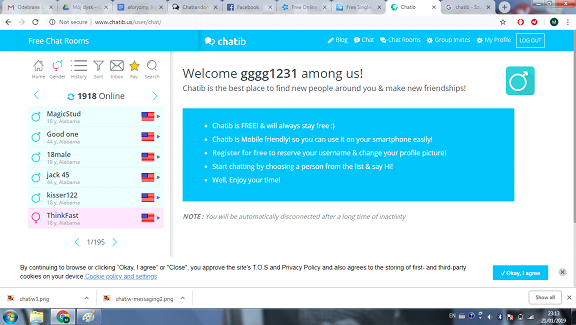 You can make a ton of true friends online and ChatIB is a text chat that makes it possible and completely attainable!